Story: After college, Hatcher became an extraction officer in Cybernet . Bailout was an operative in the government agency The Purifiers. 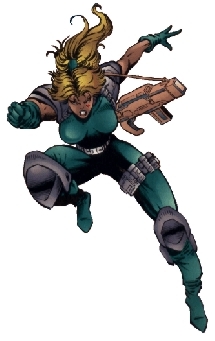 When the agency took over Bloodstrike, she started working as backup for Cabbot Stone on his missions .